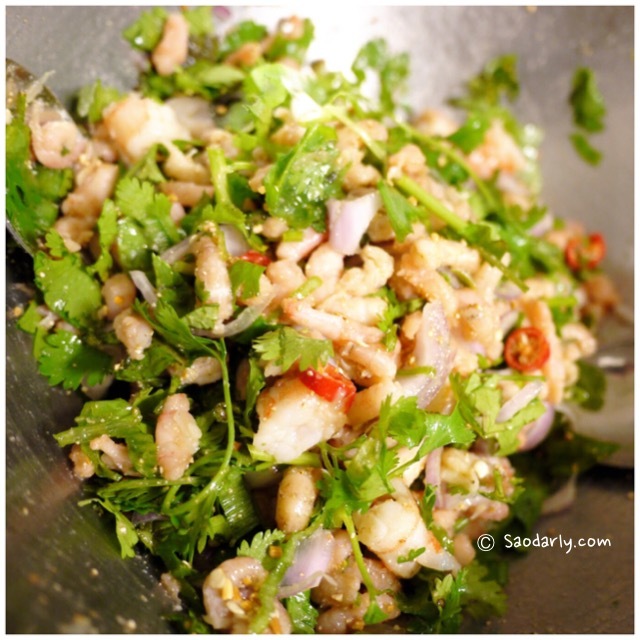 Larb Shrim is quite simple to make. 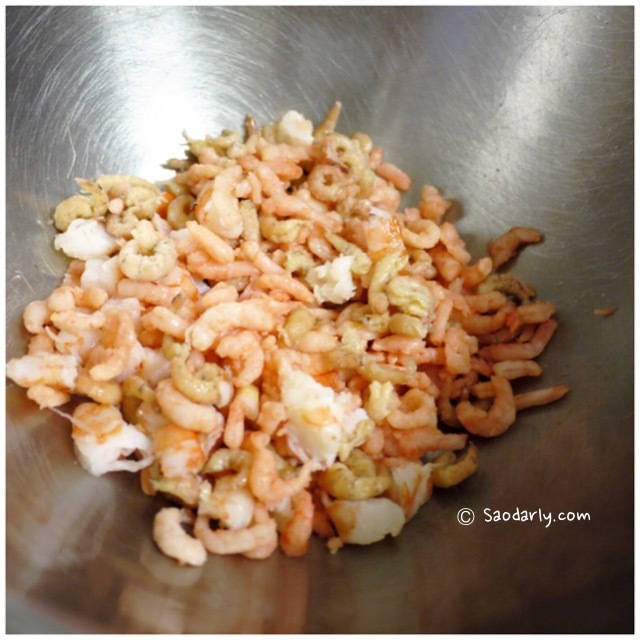 I marinated the shrimps in a mixing bowl using lime juice from one lime for about five minutes. 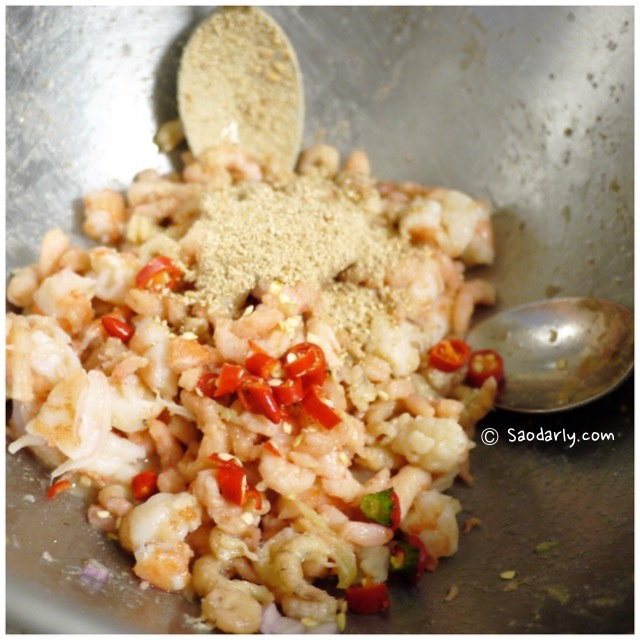 Then I added the following seasonings: fish sauce, crushed roasted sticky rice, and chopped fresh chili pepper. 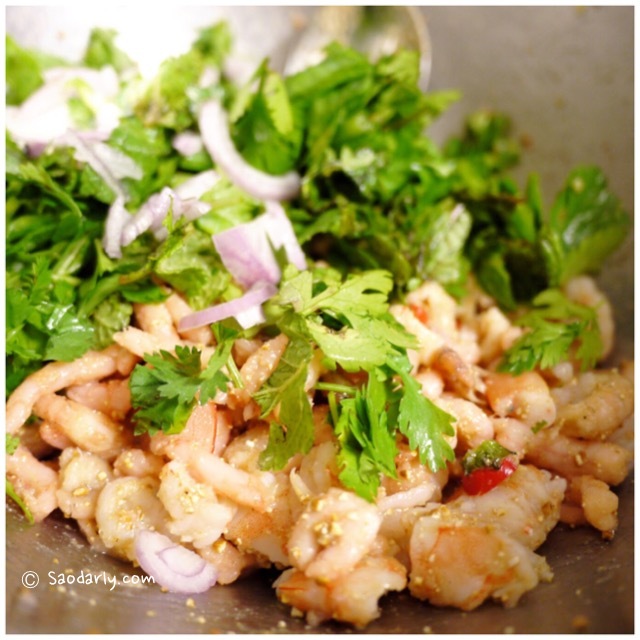 After combing the shrimps and seasonings, I added chopped green onion, coriander (cilantro), shallot, and mix all the ingredients together. 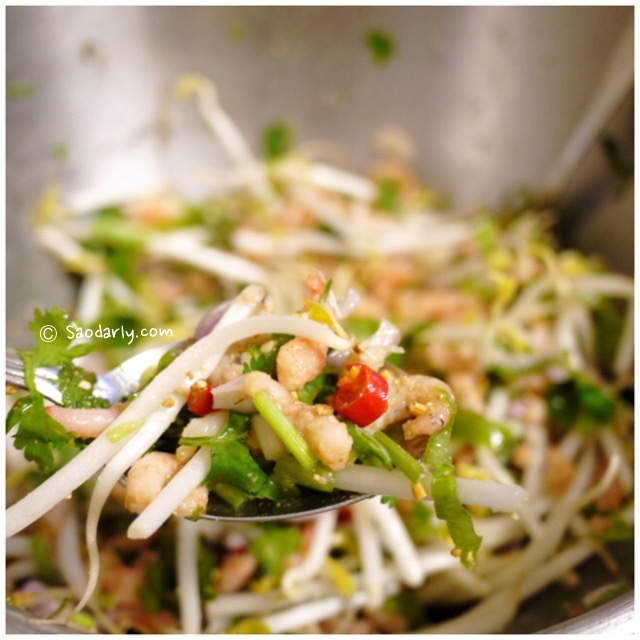 Since I am fond of eating beansprout, I also added a generous amount of it in the Spicy Shrimp Salad at the step. 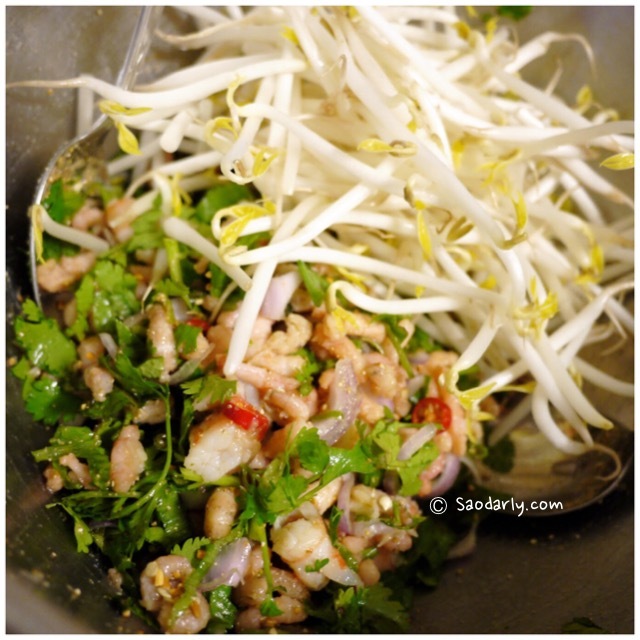 Mix well then ready to chow down the Larb Shrimp. I haven’t had this in forever! 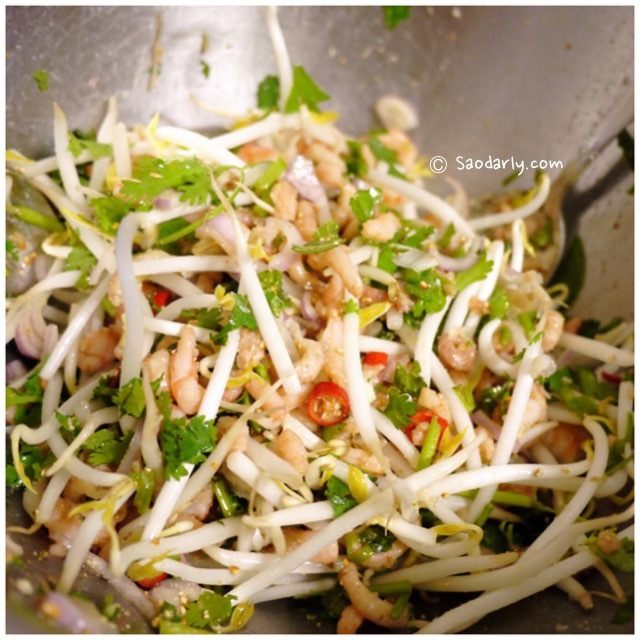 Looks so delicious, thank you for the recipe. I will probably make this soon.